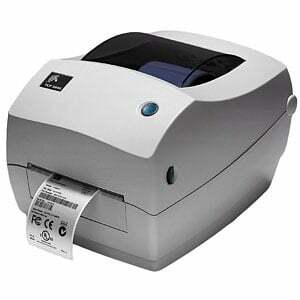 Zebra TLP 2844 - Thermal transfer printing, 203 dpi, 4" print width, USB, Parallel, and Serial Interfaces, Dispenser, Real-time clock, Expanded Memory, and US power cord. Order cables separately. The Zebra TLP 2844 is a fast, dependable and affordable desktop label printer with great features and style! The Zebra 2844-10301-0031 is also known as ZEB-2844103010031	or 2844103010031	.